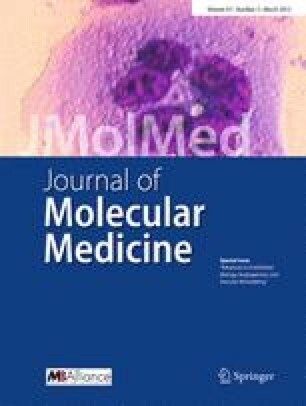 We hypothesised that a potentially disease-modifying osteoarthritis (OA) drug such as hyaluronic acid (HA) given in combination with anti-inflammatory signalling agents such as mitogen-activated protein kinase kinase–extracellular signal-regulated kinase (MEK-ERK) signalling inhibitor (U0126) could result in additive or synergistic effects on preventing the degeneration of articular cartilage. Chondrocyte differentiation and hypertrophy were evaluated using human OA primary cells treated with either HA or U0126, or the combination of HA + U0126. Cartilage degeneration in menisectomy (MSX) induced rat OA model was investigated by intra-articular delivery of either HA or U0126, or the combination of HA + U0126. Histology, immunostaining, RT-qPCR, Western blotting and zymography were performed to assess the expression of cartilage matrix proteins and hypertrophic markers. Phosphorylated ERK (pERK)1/2-positive chondrocytes were significantly higher in OA samples compared with those in healthy control suggesting the pathological role of that pathway in OA. It was noted that HA + U0126 significantly reduced the levels of pERK, chondrocyte hypertrophic markers (COL10 and RUNX2) and degenerative markers (ADAMTs5 and MMP-13), however, increased the levels of chondrogenic markers (COL2) compared to untreated or the application of HA or U0126 alone. In agreement with the results in vitro, intra-articular delivery of HA + U0126 showed significant therapeutic improvement of cartilage in rat MSX OA model compared with untreated or the application of HA or U0126 alone. Our study suggests that the combination of HA and MEK-ERK inhibition has a synergistic effect on preventing cartilage degeneration. The authors would like to thank NHMRC, Australian Orthopaedic Association and Prince Charles Hospital Foundation for providing the funding. The authors would also like to thank the staff at the Medical Engineering research facility for assisting the animal work.